Thank you all for your kind words. Your words mean so much to me. Each and every one of hold a special place in my heart. I've had this board sitting out waiting for it to be completed for the longest and I finally managed to finish it. I simply adore this board...it's one of my faves. The playful polka dots details are so pretty and not commonly seen in weddings and when they're used in this soft and delicate color palette makes me love them even more. I love this board! So sweet! The bridal gown is adorable with the polka dots! Oh how I love this! Soft and feminine but playful and fun. This is one of my favorites. 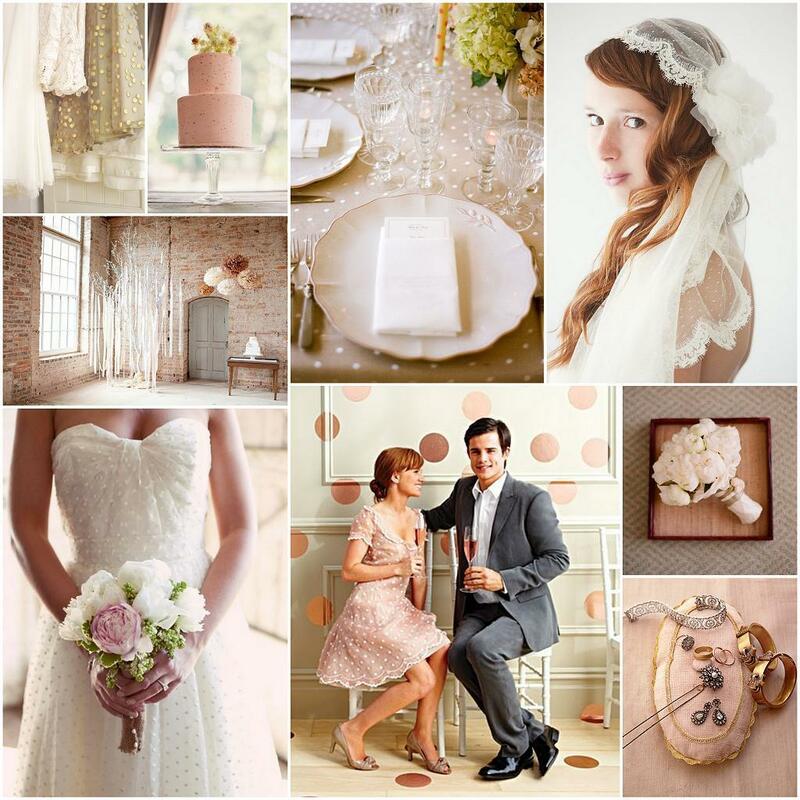 Absolutely love this, especially the dotty tablecloth and the touches of sparkle. I love polka dots they are the perfect mix of innocence and sophistication in this board. And the Veil from Sibo designs is divine, I love it! So gorgeous! Just so sweet and girly. Love it! So beautiful. That tree in the brick space is amazing! Love the soft neutral colors with the polka dots! The polka dots are so sweet and elegant, yet fun and playful at the same time! Love this board. the dress is so lovely! adorable board - polka dots are always lovely. Lady, this board is H E A V E N. And I don't normally type my words so wonky, so you know I mean it. Polka dots are seriously the best!! ooooh so playful & chic! awww so cute and playful! Loving these delicate polka dots! Oh so special. I adore this board.... so romantic and feminine!